By the end of September, AIOTI had 200 members. AIOTI Management Board Chair Kees van der Klauw was invited to speak at the 24th IFIP World Computer Congress, to present AIOTI. The title of his speech was: “The Internet of Things is hardly about technology: how it impacts society, business and professions. 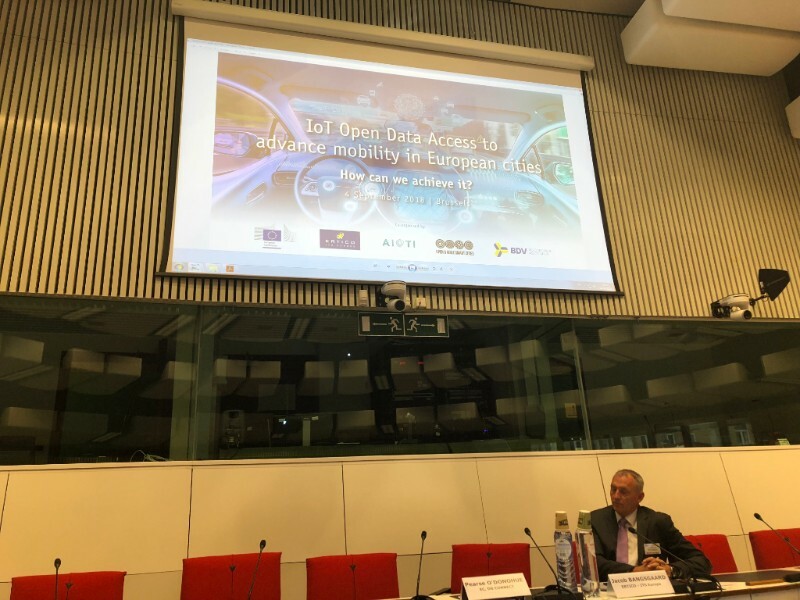 ERTICO organized a workshop in cooperation with AIOTI and other partners on IoT and open access to data on 4 September in Brussels. AIOTI was represented by Secretary General Damir Filipovic, who was speaking on behalf of AIOTI. 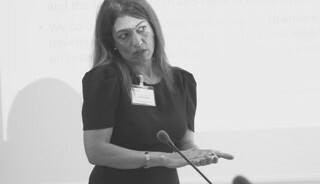 More about the workshop could be found here. For a summary of the IoT Week and a short report, please click here. David Langley, Vice Chair of the AIOTI Working Group 2 on Innovation Ecosystems, was interviewed during the IoT Week 2018 in Bilbao. 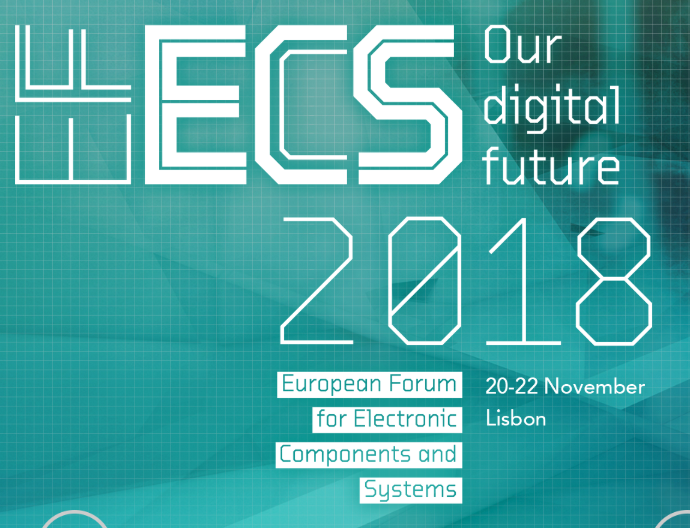 See here an interview where Mr Langley talks about IoT European LSP Programme. 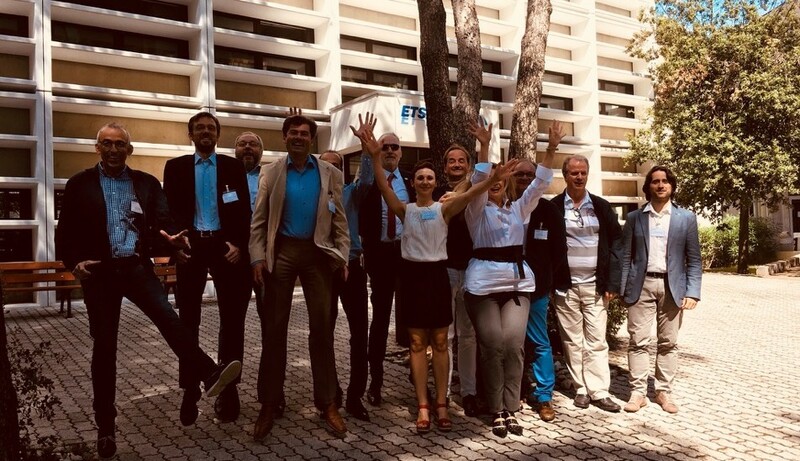 On 7 September, AIOTI Steering Board Members met in Sophia Antipolis, meeting hosted by ETSI. 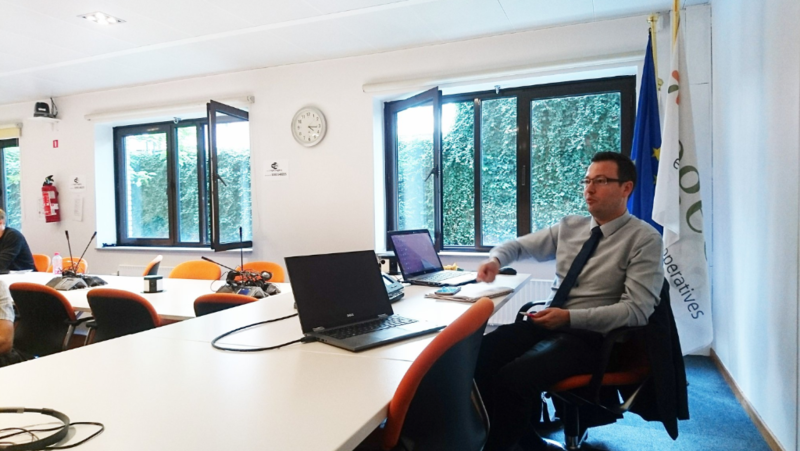 AIOTI Steering Board Members discussed the strategy and growth as a follow-up to the AIOTI General Assembly meeting in Bilbao on 8 June. 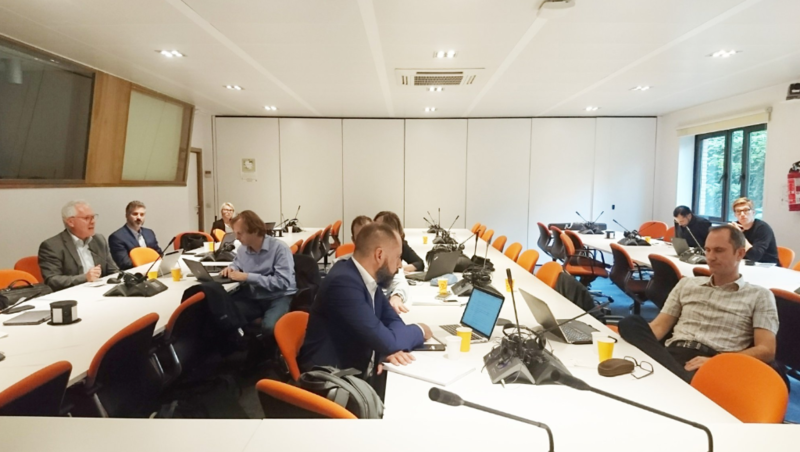 Luis Perez-Freire, WG06 chair participated in a workshop organised by COPA-COGECA (who are members of AIOTI): “EU Strategy To Promote Digital And Technological Transformation Of EU Agriculture”. Luis has moderated a panel session, as WG06 chair, on the topic “What Kind Of Infrastructure Do We Need To Build Up The Data-Driven Agri-Business Solutions Of The Future”. On 19 September, Luis Perez Freire, WG06 chair gave the opening plenary in the following conference about digitisation of the agrifood sector in Spain. More information could be found here. AIOTI is partnering with HackIstanbul 2018 CTF Contest. More information can be found on the website. The Fraunhofer Institute for Open Communication Systems FOKUS is hosting the third Berlin5GWeek. Part of the series is the second Edge Computing Forum and the second Industrial IoT Forum organised by the Industrial IoT Center of Fraunhofer FOKUS. 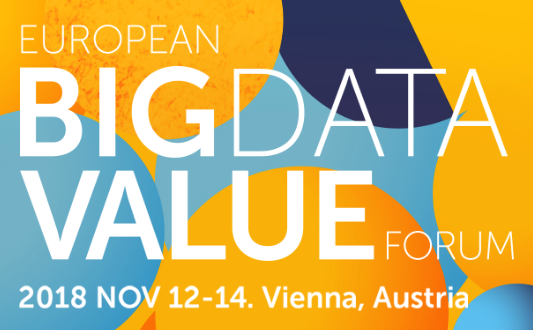 ICT 2018 4-6 December, Vienna. (WG05 Chair Mustapha Bouraoui is among speakers). 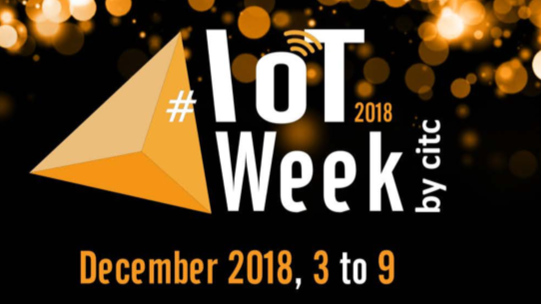 IoT Week 2018 will take place between 2-9 December 2018. 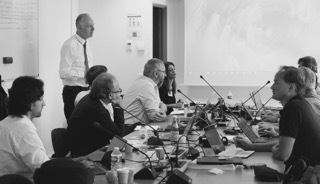 A week of events in the region of Hauts-de-France dedicated to the Internet of Things, in the sectors of Industry of the Future, the City and the Society. AIOTI has prepared views on IoT research and innovation priorities in Europe. The position could be found here. AIOTI has prepared its views on the next European research and innovation programme Horizon Europe and on the Digital Europe. The position could be found here. 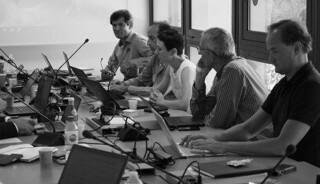 WG06 have launched a questionnaire to collect information for creating an up to date map of current initiatives relevant to the application of IoT to smart farming and digital agriculture, and would like to have members help in getting the widest possible dissemination through AIOTI channels. The questionnaire is available here. The results will be reported back later in the year and provide access to anyone for the data as well. Members were asked to help in getting an overview on the Blockchain Swarm Intelligence of AIOTI Community. Members feedback will help AIOTI to shape and plan the future actions towards Blockchain and IoT. The questionnaire could be found here.